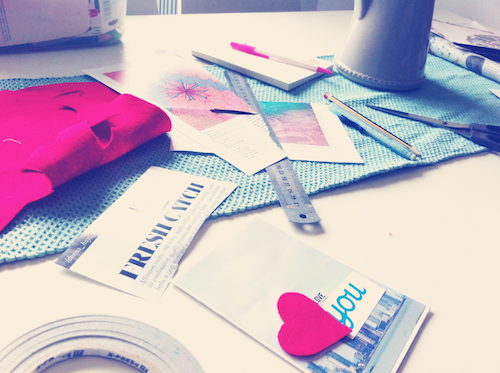 While Romy napped today I got out my craft box & some old magazines and made some cards to put in the post later in the month. I set myself a goal this month of sending out four pieces of snail mail, and I'm already halfway to accomplishing that little goal. It was a nice way to spend my rainy afternoon, I forgot how fun making magazine collages could be. That's such a cute idea. You apparently are much more creative than I, haha. I love making magazine collages - it's fun and relaxing. I also miss snail mail and plan to send lots more letters this year, too!